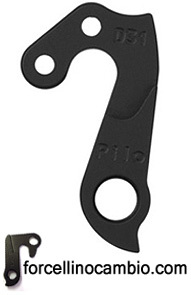 Derailleur hanger suitable for all bikes. Shipping all over the world. 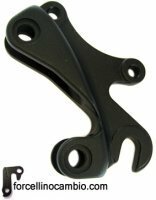 Derailleur hanger for all brands and models of bicycles on sale online. 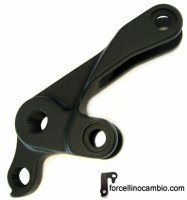 If you do not find your hanger on our site, send us a front and rear photo with the brand, model and bicycle year at info@forcellinocambio.com or on WhatsApp at 347.9013632 we will work to find the model dedicated to your bike. 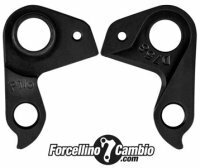 We are distributors for Pilo Italy, world leader in product quality and a wide range of gears for all racing and MTB brands. Every day we update our online catalog by inserting new models of forearm. 100% reimbursement guarantee in case the purchased exchange pendency is not compatible.